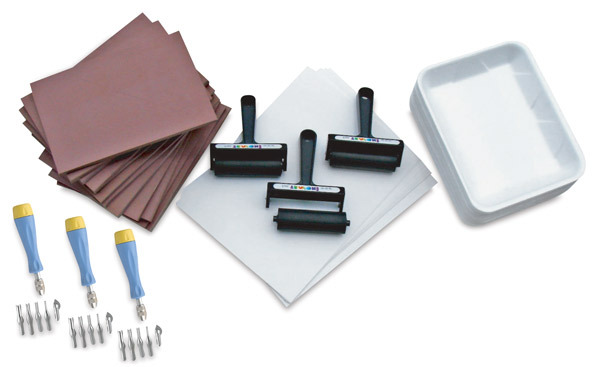 Introduce children to the printmaking process with this set that includes "Eco" print blocks, a material that's pliable, yet heavy enough that it won't slip or skid while being carved. Made from 100% recycled material, it's latex-free, non-toxic, and can be carved on both sides. 12 Eco print blocks, 6" × 9" × 3/8"
10 ink mixing trays, 6" × 9" × 1/2"
® Inovart is a registered trademark.™ Snap-Out is a trademark.